The coordinator of the Compendium of Female Skills of Côte d'Ivoire (COCOFCI), Euphrasia Kouassi Yao will participate from March 29 to 31, 2019 in the 3rd edition of the African Forum of Women Leaders in Ouagadougou under the theme Women's Leadership and Cross-Border Trade: Digital Alternative . 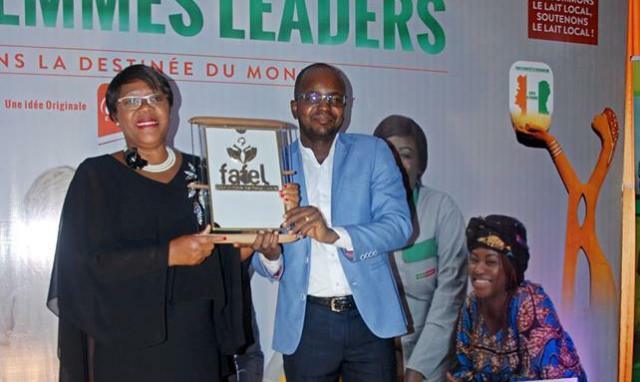 Yao Euphrasia will receive the FAFEL OR Trophy in recognition of the remarkable actions undertaken to promote the skills of women in Côte d'Ivoire and the diaspora and for the inspiring and innovative model represented by the Compendium in Africa and around the world. Indeed, during the last 6 years, Côte d'Ivoire has expanded its initiatives to promote gender and reduce inequalities, through the establishment of innovative legal and institutional instruments that effectively contribute to the promotion of gender equality. achievement of the Sustainable Development Goals. Under these programs is COCOFCI, initiated by HE the President of the Republic Alassane Ouattara, which aims to strengthen the participation and visibility of women in decision-making bodies. The Compendium has helped to create an enabling environment for the advancement of women in the public and private sectors and to significantly improve the participation of women and young women in the business and economic decision-making process. To date, this program has a dynamic database of more than 15,000 women, freely registered regardless of political party, ethnicity and religion. Remember that the FAFEL is a forum that takes place every year in the heart of Ouagadougou. It is a pan-African platform for the expression of female leadership, which aims to promote women, to build and energize a strong African woman, an actress of harmonious development for her country, her community and her family.